Paul L. Browner, 90, of Owens Cross Roads, passed away Sunday. Paul was born in Pangburn, Arkansas in 1928 the fifth of eight children born to Tim and Edith Browner. 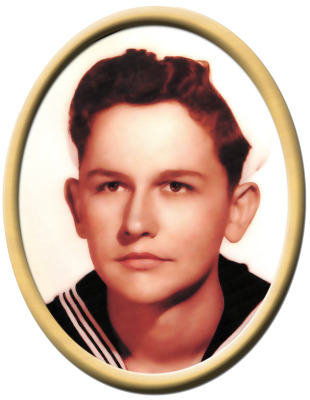 He graduated from High School in Cotton Plant, Arkansas was a United States Navy Veteran of the Korean Conflict. In addition to his parents he was also preceded in death by his brother, Carl Browner and sister, Marie Kimball. Surviving are brother, Dean (Pat) Browner, brother, Edward (Adeline) Browner, sister, Reba Donovan, sister, Wanda Spencer, brother, Doug (Betty) Browner, and numerous nieces & nephews. Visitation will be Friday 12:00 PM to 1:00 PM at Roller-Daniel Funeral Home in Searcy, AR. A graveside service will follow at Henderson Cemetery, Friday at 1:30 pm with Rev. Doug Browner, Jr. officiating. "Email Address" would like to share the life celebration of Paul L. Browner. Click on the "link" to go to share a favorite memory or leave a condolence message for the family.